Ian Evans Guthrie is emerging as a tour-de-force composer and pianist. He recently won 2nd place in the American Prize 2nd prize in the Great Composers Competition: Music of America, in addition to his many other composition and performance prizes and recognition from ASCAP, SCI, MTNA, National Federation of Music Clubs, Webster Community Music School, and other nationally- and regionally-recognized music organizations and clubs. In addition, many of his works have been performed publicly around the world from groups such as Indaco String Quartet, fEARnoMUSIC, Portland’s Metropolitan Youth Symphony, the Northwest Symphony Orchestra, the Moore Philharmonic Orchestra, and many others. 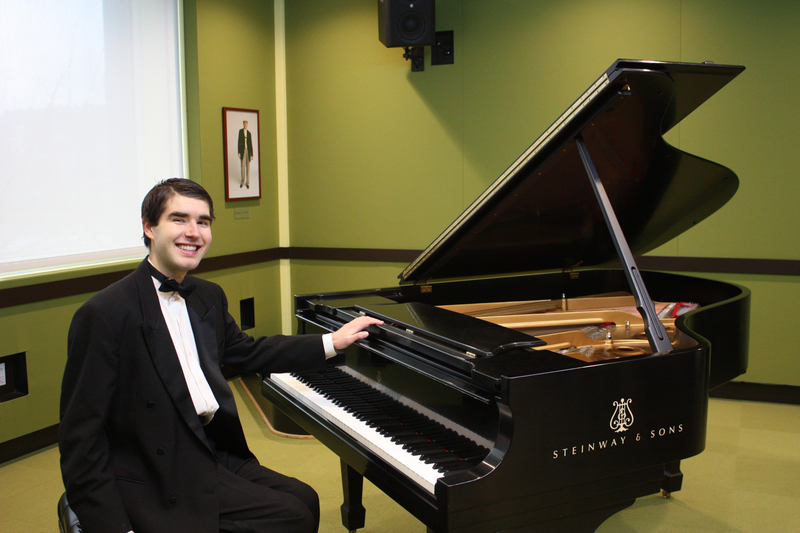 Guthrie graduated from Texas Christian University with his master’s under a teaching assistantship, where he studied composition, theory, and piano performance, and will begin his Doctor of Music at Florida State University in Fall 2017. You can find more information about him at ianguthriecomposer.com/biography. An annual competition series paying tribute to some of the greatest composers of all time. All of the competitions in this series are designed in such a way that the award winners will be announced annually on the composers' birthdays. The rising music stars to look out for. An annual competition series in which talents are chosen from countries in each world region. An annual competition series paying tribute to the baroque, classical, romantic, and contemporary musical eras. An annual competition series paying tribute to the classical music traditions of Europe. An annual competition paying tribute to the North & South American music. An annual competition series paying tribute to the art of instrumental music, focusing on piano, strings, winds, percussion, and chamber music. An annual competition series paying tribute to the art of singing, focusing on opera, sacred music, art song, and musical theatre. An annual competition series paying tribute to the art of the Concerto & Concertino's large-scale musical form. An annual competition series paying tribute to the art of the Sonata/Sonatina's large-scale musical form.